The Rotary Club of Watsonville is working in partnership with the Pajaro Valley Historical Association, the Watsonville Public Library and the Video Academy at Watsonville High to create professional videos of historical figures in the Pajaro Valley. The series began on March 29 with Nita Gizdich serving as the first presenter. Nita, with Jess Brown, Director of the SC County Farm Bureau view as her moderator, gave a rich history of her travels from Croatia and the beginnings of her successful farm operation leading to the famous Gizdich pies. You can see the presentation at this link – https://vimeo.com/215283046. 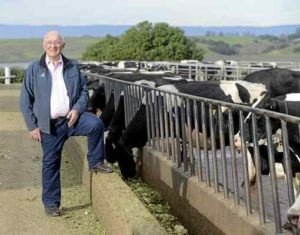 North Monterey County Dairy Farmer and retired Monterey County Board of Supervisor, Lou Calcagno, presented on April 19. 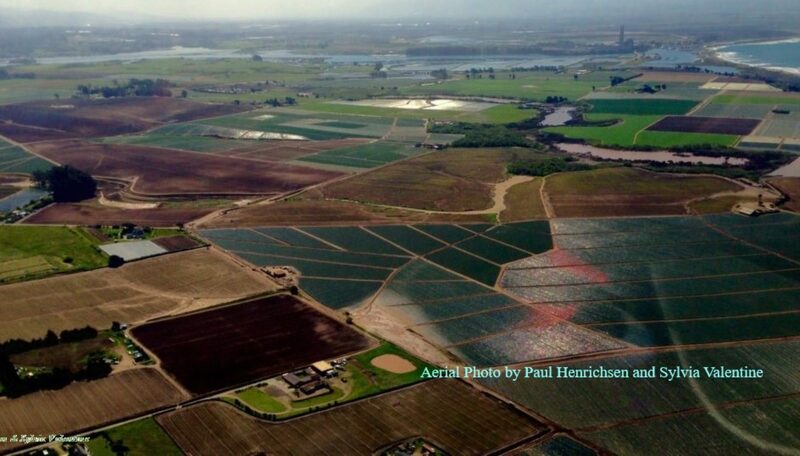 He gave incredible overview of agriculture in the Pajaro Valley with a focus on the dairy industry. The link to Mr. Calcagno’s presentation is online at – https://vimeo.com/220683. 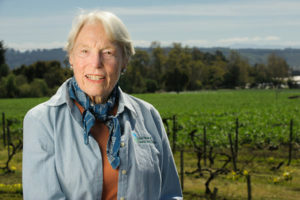 Our next presenter was Diane Porter Cooley on May 31, former Farmer of the Year in the Pajaro Valley and Santa Cruz County. The online link to Diane’s presentation is – https://vimeo.com/222891414. Our final presentation in June was Hal Hyde on June 21. Hal served as the Manager at Ford’s Department Store for forty years and was one of the founders of Cabrillo College AND UCSC. Hal Hyde helped found UC Santa Cruz, Cabrillo College, the UCSC Arboretum, the Community Foundation and the Cultural Council of Santa Cruz County. He’s currently working to improve opportunities in higher education for the area’s Latinos After he was recognized by UCSC for his distinguished service, he was quoted in the Santa Cruz Sentinel in 2011 as saying “I’m very proud of it and thankful for it. 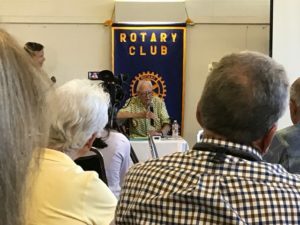 I’m pretty old right now and I’ve been around a long time and have most of my marbles.” Hal is the most senior member of the Rotary Club of Watsonville, joining on Nov 27, 1947! 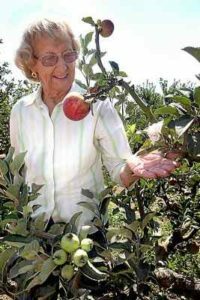 Check out our calendar for future presentations of Pioneers of the Pajaro Valley!